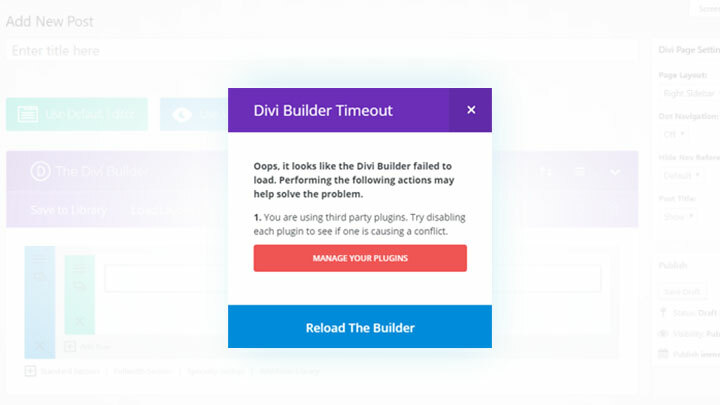 Many Divi users have encountered a time-out error when using the Divi Builder. The error is usually a popup that tells that the Divi Builder failed to load. This popup mentions that you might have problems with plugins or other issues. Sometimes the popup doesn’t load and all you have is a set of spinning dots that indicate the Divi Builder is loading, but it never loads. This can be frustrating to deal with (especially when you’re trying to get work done). Fortunately, it isn’t that difficult to fix. 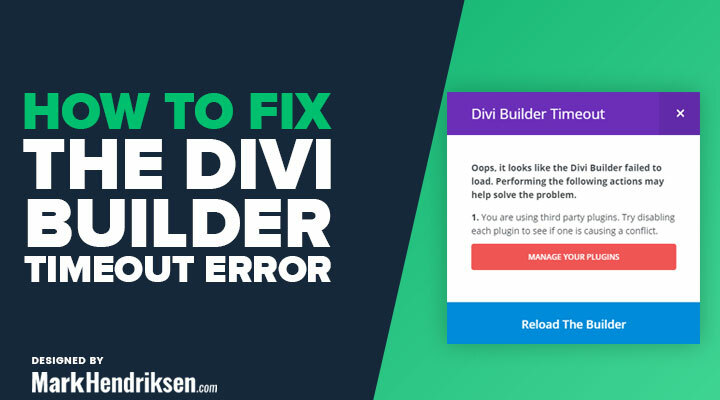 In this article, we’ll look at how to fix the Divi Builder timeout error. 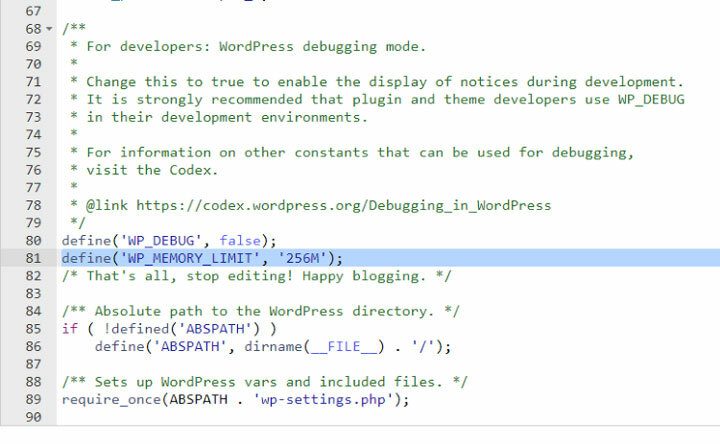 If updating Divi, updating your plugins, or disabling plugins to troubleshooting a conflict do not solve the problem you’ll need to check your PHP version and memory limits. Here’s how to do this. You might need to change your PHP to a newer version. 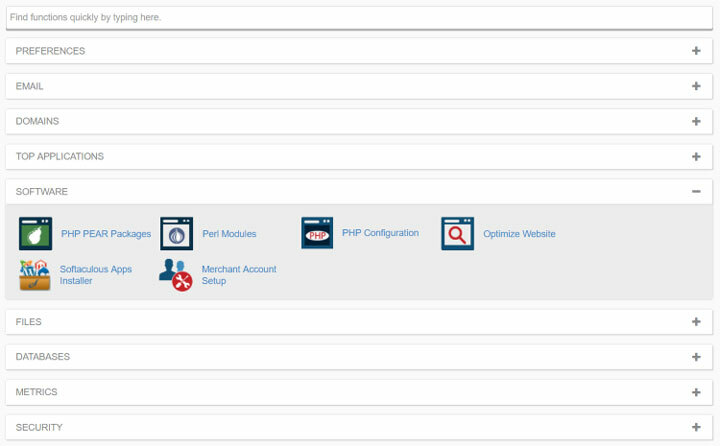 To see your PHP version, login to your host’s cPanel and scroll to the section labeled Software. Here, you’ll see an app labeled PHP Configuration or PHP Version (or something similar). Every host looks different, but they mostly work the same way. Here, you’ll see the current version, the system default, a dropdown box with PHP versions, and links to see information about each version to help you decide which is best for you. 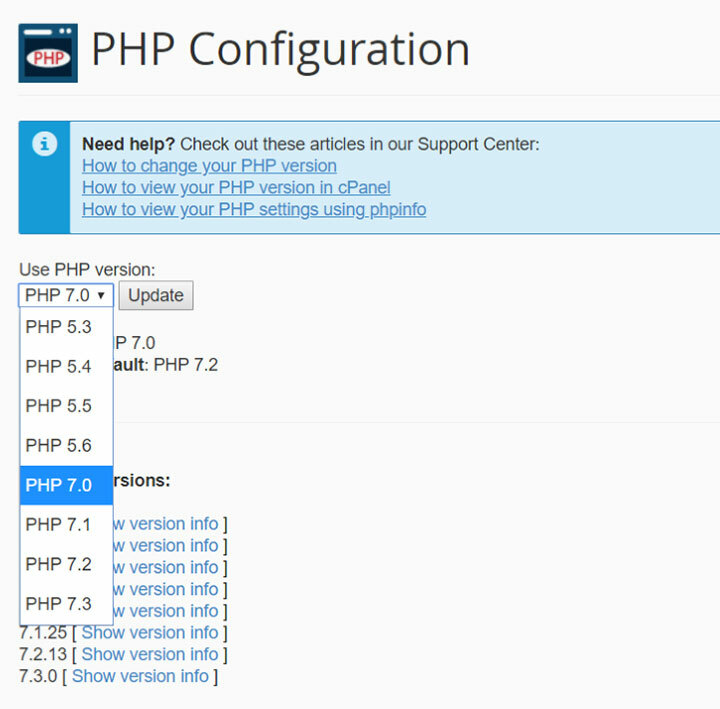 In this image, the most recent version of PHP that is available to me is 7.3 and the default is 7.0. Many hosts have version 7.0 set as the default. As you can see, this host goes back to version 5.3. You might see other links for help with the PHP versions. Select a higher version of PHP and click Update. Test your Divi website again. If the problem continues, then try a different version. 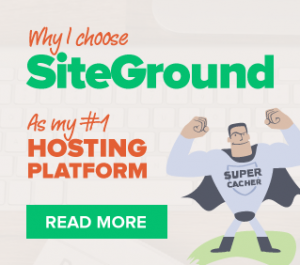 There are several ways to increase the memory limit of your WordPress website. You might have to try them all. Make sure you have a recent backup before making these changes. If you get an error when loading your website, such as an internal server error, remove the code and contact your host for help. Edit your wp-config.php file. You’ll find this in your WordPress root directory. Search for your PHP.ini file in your WordPress directory in cPanel. Look for a line that shows the maximum amount of memory a script can consume. Make sure the amount is at least 256M. The Divi Builder timeout error can be frustrating, but it’s usually easy to fix. Updating PHP is the most popular fix, followed by .htaccess. Always keep a recent backup before making changes to your code. It’s also possible that a conflict with a plugin could cause the problem. Try disabling plugins one at a time to see which one could be the problem. Also, try a different browser. If none of this works, then you might consider reverting back to an older edition of Divi. If none of this works, contact your host to see what they can do to increase the memory limits for you. There may be something you don’t have access to that they can change.